I’ve been busy since the start of the year, working on the new British Antarctic Survey website. We launched this month. It’s a big site, filled with science and research, stunning photography and even a penguin of the day! This month it feels like I’m back in the world of intranet. 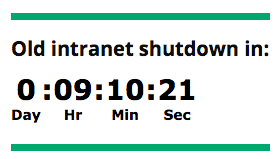 Two new clients just starting out with GovIntranet, another client moving into beta, and another showing a countdown timer on their homepage ticking off the minutes until the old intranet is switched off. All very satisfying. I’d never thought of doing that. But yes, of course, what a great idea! Over the months I’ve seen internal comms teams demonstrating real creative solutions with the tools that they have. We’ve had searchable and sortable tables of account codes, embedded sound clips of the building fire alarms, and trending hashtags. More recently, I’m seeing groovy animated GIFs to encourage engagement, live videocasts with Q&As from Permanent Secretaries and MPs. And I’ve even spotted a blog post by the PM on one of our client intranets. I hear of frontline staff being able to login to their intranet via their Google account with access to tasks and guides containing links to documents and forms stored in the cloud. I spot a “compliments of the day” section on a homepage; a lovely way of doing karma points. All implemented by intranet teams using core WordPress functionality and the occasional plugin, to make the intranet their own. I’ve seen many staff polls, which are good at harvesting a quick opinion, but a new take on this is the “Did you know?” type poll, where teams are not trying to gather feedback but rather educate and inform. 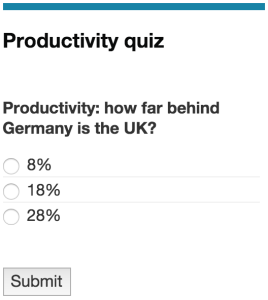 For example, a recent poll posed a question on the topic of productivity, “How far behind Germany is the UK?” There are three possible answers and the correct answer displays after staff submit their answer. The staff directory plays a central role in connecting people to the intranet. When I browse client intranets who use the staff directory, I get a sense of happiness, success, belonging and celebration. There’s a real feeling of being involved and being able to take part. When there’s no integration with the staff directory, it’s like there’s a sheet of thick perspex between me and the intranet and I feel like I almost have to knock to get someone’s attention. Only a few of my clients use the built in staff directory. Some integrate this with their Google Apps accounts. Some are still waiting for the Ministry of Justice people finder. The GovIntranet theme has grown and improved with bug reports from clients and the wider open source community and through new functionality commissioned by our paying clients. But intranets still remain a closed community, and although many of my clients are adopting a sense of openness, there’s still a level of sensitivity around government intranets that makes it hard for them to demonstrate new features, share their experiences and learn from others. Amidst the tube strikes a few weeks back, we held our first GovIntranet breakfast meeting with a few clients who could brave it into the office. They found it really useful to compare notes and to see how each other use the theme. Some clients have access to each others’ intranets, but it was glaringly obvious in training last week just how much people can benefit from sharing. And I’m not talking about shoving some code on github and calling that sharing, I mean sharing their experiences of using the theme, their innovations and feedback that they’ve received from staff. 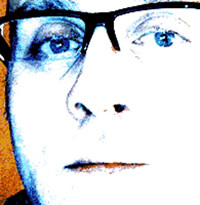 I now support 12 clients using the GovIntranet theme and the GovIntranetters users site. In my new role as “Head of Helpfulness” I’ll be getting out and about more, becoming actively involved with clients using the theme. And also holding more GovIntranet Club meetings with clients so that we can discuss “the roadmap” and where the theme is going next. As more and more of my clients have staff who are situated at various locations around the country, location-based content is hot on the agenda. There’s also call for staff newsletters and weekly digests by email.